One of the first changes will feature a single-line menu bar in Word online. Microsoft is working on a new way to redesign its Office products, one that requires a lot of input from people who use the software every day. 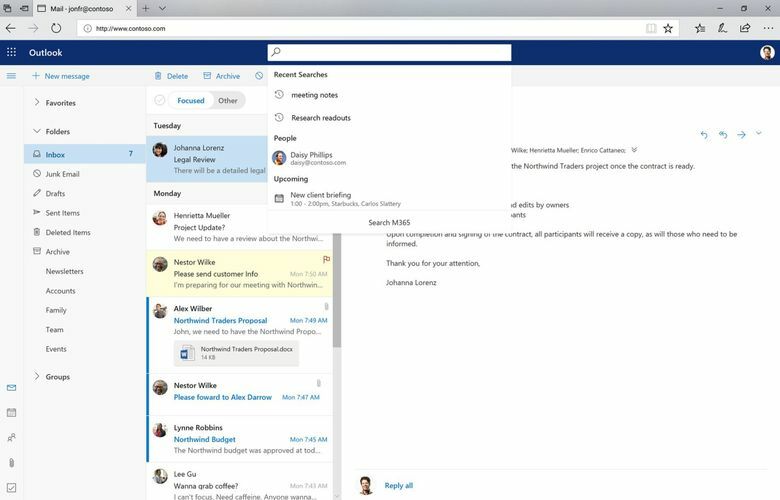 The first tweaks to the stalwart suite will be relatively small, though noticeable – a single line of menu options for Word, a new look for icons within Word and a search feature in Outlook that guesses what you’re about to look for. But that’s just the beginning, Office managers say, and more changes will begin launching over the next several months. “This won’t be a one-time shot,” Office corporate vice president Jared Spataro said. The company plans to test each change in one or two of the products first, get feedback from people using a survey that will pop up within the products, then tweak the changes and eventually roll them out across Office. More than a billion people use some version of the Office service each month — free online versions, paid desktop accounts or Microsoft 365, the subscription-based cloud iteration of Office that updates more frequently. The cloud version has become increasingly important to Microsoft, as the Redmond company shifts its revenue more and more to its cloud products, powered by its growing cloud computing platform Azure. The system allows other companies to rent computer power from Microsoft rather than keeping everything on their own devices. Office, which includes software such as Word, Excel, Powerpoint and Outlook, has historically undergone big redesigns every three or four years when the company launches a new version of the suite. Microsoft 365 has meant the company can make changes more frequently. The newest updates are intended to make basic functions simpler for people to use, while still allowing them to access more tools if needed, Office chief designer Jon Friedman said. A smaller set of menu items in the “ribbon,” or tabs that run horizontally across the top of the products, will be available for Word online starting Wednesday. It will show a single line of options under each tab, rather than the previous double line. Users can still expand the ribbon if they want more tools. Icons within Word, and eventually in the other products, will change too, mostly to give them higher contrast and make them easier to see. The third change announced Wednesday is an intuitive search function that commercial users already see in Office.com and the Outlook mobile app. When you put your cursor into the search box, it will offer suggestions of what you may be looking for, based on what you use the product for and what you’ve searched for in the past. Office will continue testing changes before rolling them out broadly, Friedman said. “It’s highly related to how software is made today and Office becoming more of a service than a boxed software,” he said.